Stigma is a disgrace. It’s a label. It means judging a person before you’ve had the chance to get to know them. Stigma will make you distrust, fear or avoid a person based on the single aspect of their personality you focus on. There is also stigma surrounding the efforts people make to handle their mental health issues. Meditation and breathing exercises are often looked down upon as “new age” and weird. We have all seen it in action or even experienced it ourselves. Stigma and social distancing from people with mental health problems need to be eradicated to improve worldwide mental health. The stigma surrounding their problems will often prevent those who need the most help from reaching out before it is too late. It will make it even harder to deal with the original source of their distress. It may lead them to self-medicate which is a dangerous path. At best it will leave them even more hopeless and at worst it could be fatal. Mental illness touches so many lives, but for the most part it is still a giant secret. Share your own experiences and be open. If you are an advocate, share stories to inspire. Even if you only help one person, that’s a win. Don’t be afraid to bring it up in conversation. Educate. Increased awareness will combat the negative stereotypes. Words also matter, especially when you are talking about other people. Calling someone “an anxious person” is a statement that makes the disorder equal to their personality. Rephrase that to “a person with anxiety”. Saying “people with mental illness” instead of “the mentally ill” can lead to a great shift in societal perception. If you are suffering, it is important not to hide. Be a productive member of society. 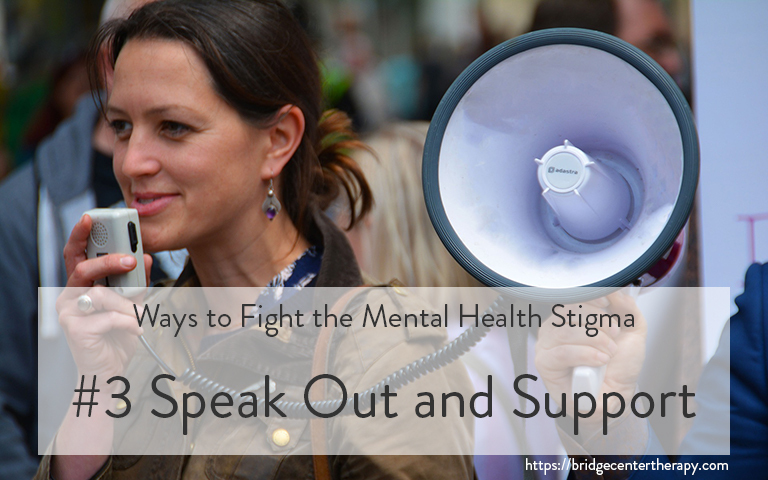 If you have firsthand experience it is not uncommon to have shame surrounding mental health. Self-stigmatization can manifest as self-blame. Ideas like “get over it” are harmful to people with anxiety or depression whether you hear it from others, or yourself. Changing the way you think and speak about yourself is a difficult mind-shift, but you can start small. Acknowledging that anxiety and depression are real medical conditions, is a great first step. 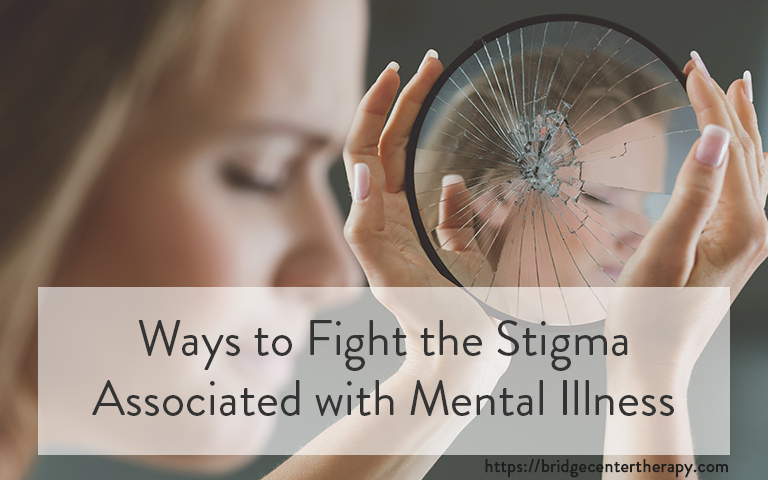 According to an article published in the February 2017 issue of the Journal of Abnormal Psychology, more than 80% of people will experience mental illness at least once in their lifetime. Something so widespread needs to be more openly discussed and less stigmatized. When you speak with authority on the subject, minds can be opened and opinions can be changed. Write to legislators. Advocate for mental health reform. Make sure your own efforts change the way people think. There are millions out there who just don’t know. Be the one to lessen that number. Through donation and volunteering you can also help organizations who are already working to destigmatize mental illness and help those who are affected. Mental Illness will be the definitive public health priority in the decades to come. 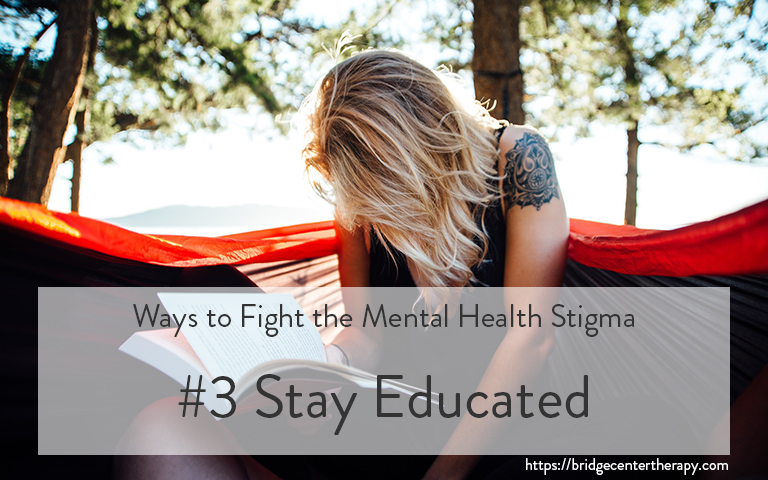 The stigma of mental illness is perhaps the greatest barrier to care. It is preventable, and doing so would radically reduce suffering, disability and global economic burden.